Introduced to sri lanka by the Malays who migrated to Sri Lanka.It is made with coconut milk, jaggery, and rice flour, and is sticky, thick and sweet. It normally takes up to 8-9 hours to cook dodol. From the start till the end of the cooking process, the dodol must be constantly stirred in a big wok. Pausing in between would cause the dodol to burn and that will spoil the taste and aroma. The dodol is completely cooked is when it is firm, and doesn’t stick to your fingers when you touch it. Most important festivals among the Sinhala and Tamil people, and is observed with age-old customs. The New Year begins when the sun enters the sign of Aries from the sign of Pisces in April, around the 13th or 14th, depending upon astrological calculations. Every visitor to a house on New Year day is treated lavishly with sweets and tea. On their departure, every individual, young or old, is given a gift of coins wrapped in betel leaf. 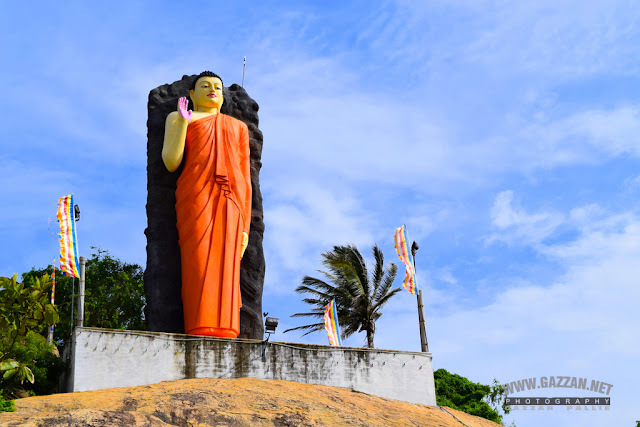 Located Ambalantota-Kataragama Main Road, Near Tsuchi Village, Hambantota.